In a year packed with so many great Nike LeBron releases, naming the best overall from the fruitful batch is hardly a unanimous decision. 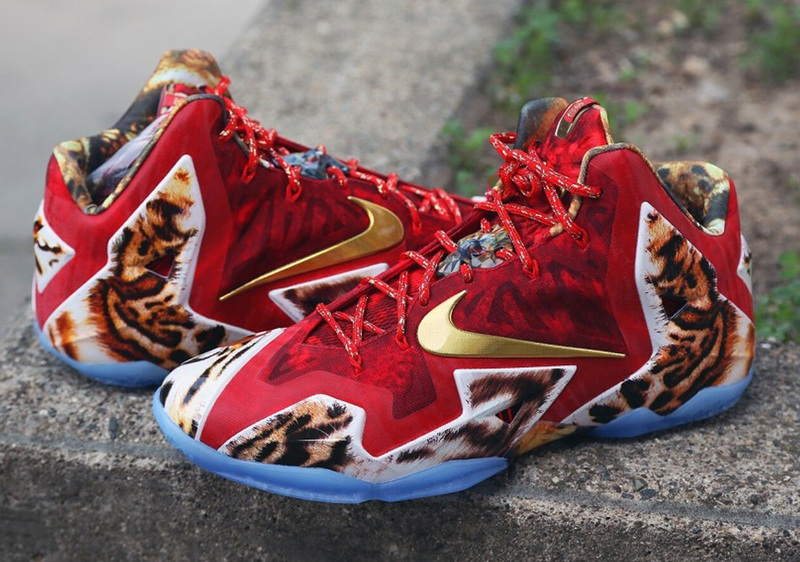 Still, we took it upon ourselves to set aside the ten best sneakers of the year that wore the LeBron crest with a king’s pride; included in this selection is the LeBron 11, which carried over from a year ago and the finely calculated LeBron 12, which is currently Nike Basketball’s most popular flavor. 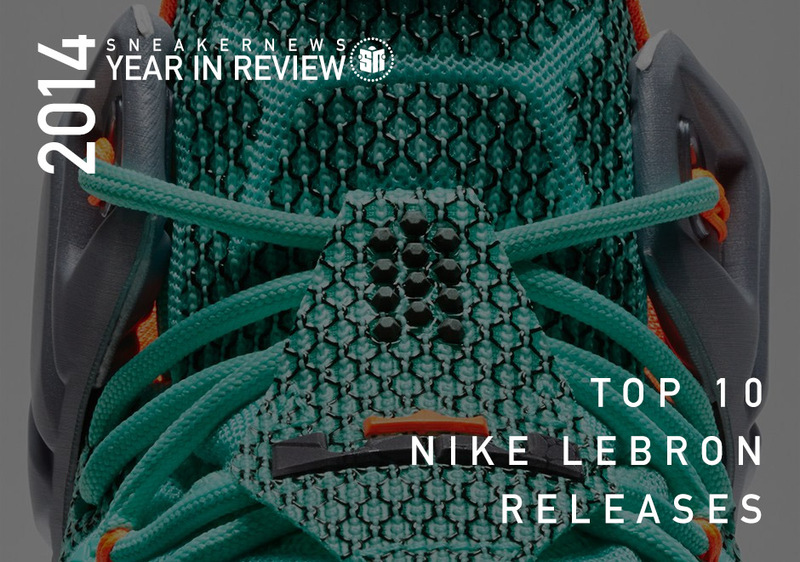 Get a look at our Top 10 Nike LeBron Releases from the 2014 Sneaker News Year in Review below. 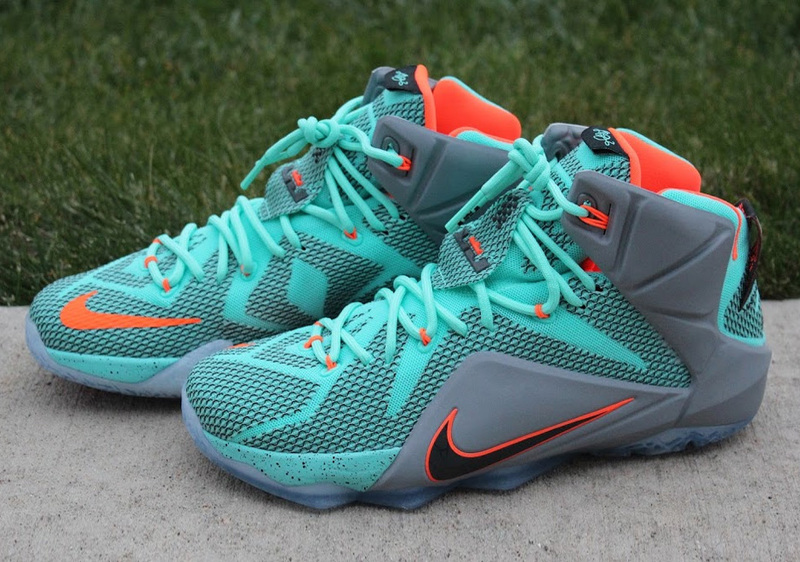 We’ll kick things off with this mid-November release of the LeBron 12 dubbed the “Instinct”. This colorway was actually inspired by a hummingbird for the bird’s incredible reflexes and speed. 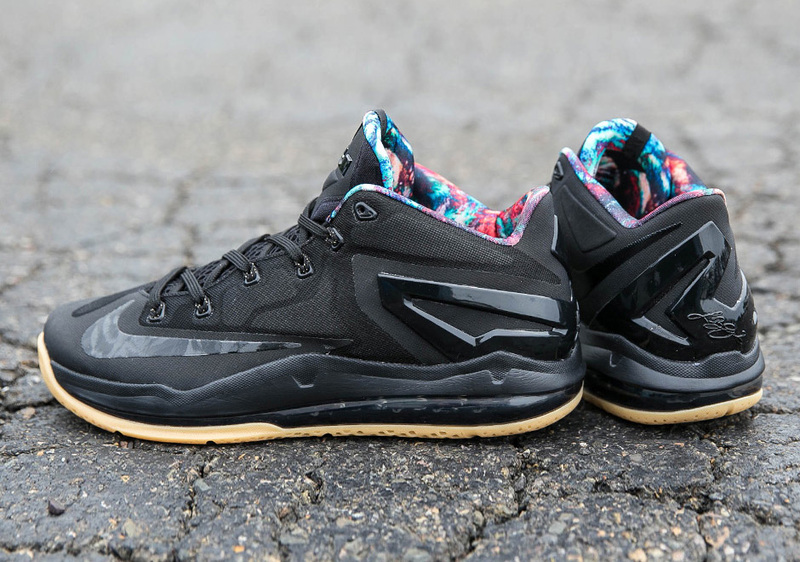 Low-top Lebrons have been getting a lot more love over the last few years, and this “Black/Gum” colorway is deserving of whatever praise it gets. 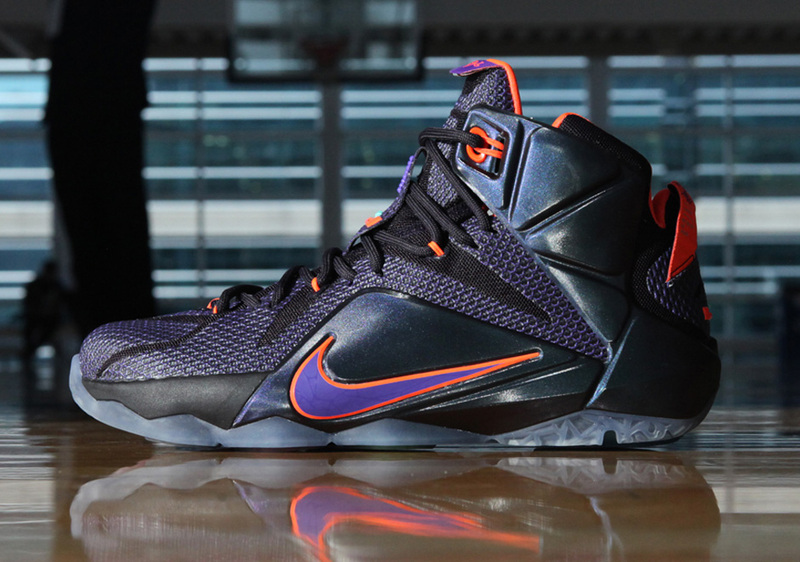 The initial six LeBron 12 colorways were actually inspired by LBJ’s sports physics data. The “Dunk Force” was a nod to his incredible arm-speed during his one-handed slams, which was recorded to be faster than that of a helicopter blade during flight. 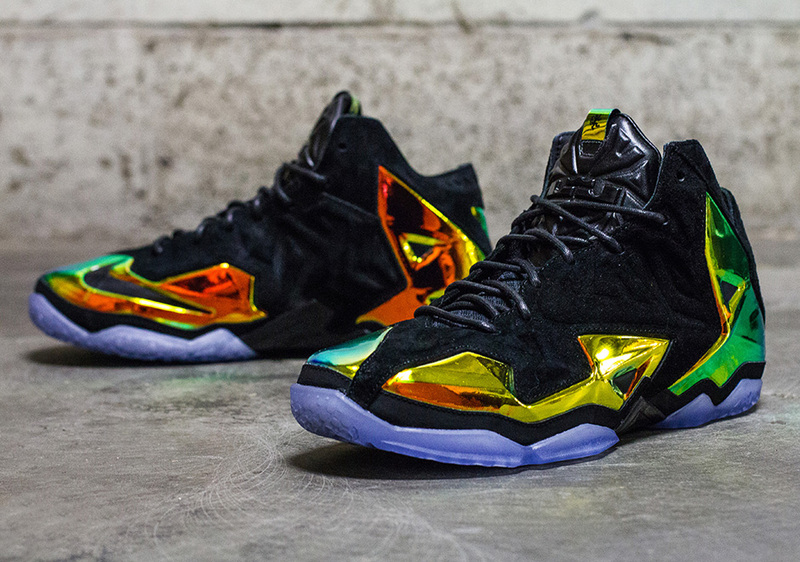 The King’s Crown (or officially, the Crown Jewel) brought in an unprecedented flair to the LeBron EXT line with this shimmering metallic finish that put other iridescent treatments to shame. 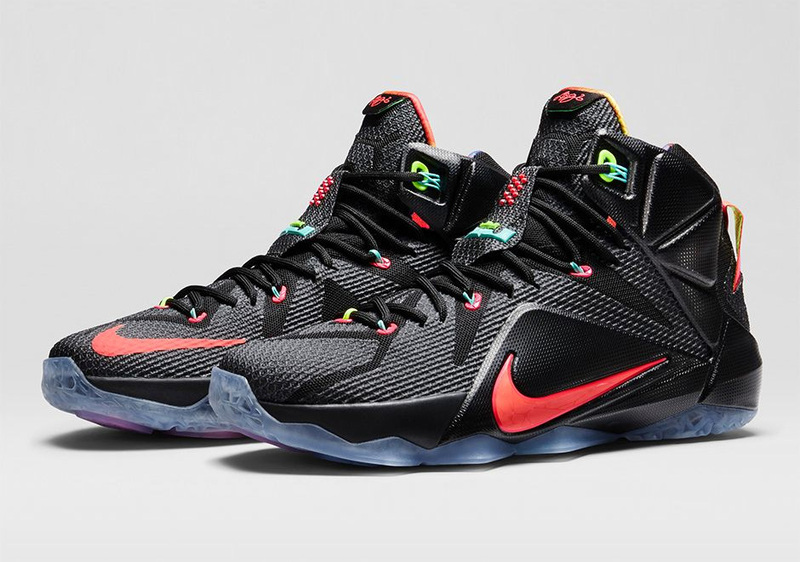 The “Data” pair was a bit of a summary colorway of the LeBron 12 launch, with a color-mapped graphic lining the all-black upper. 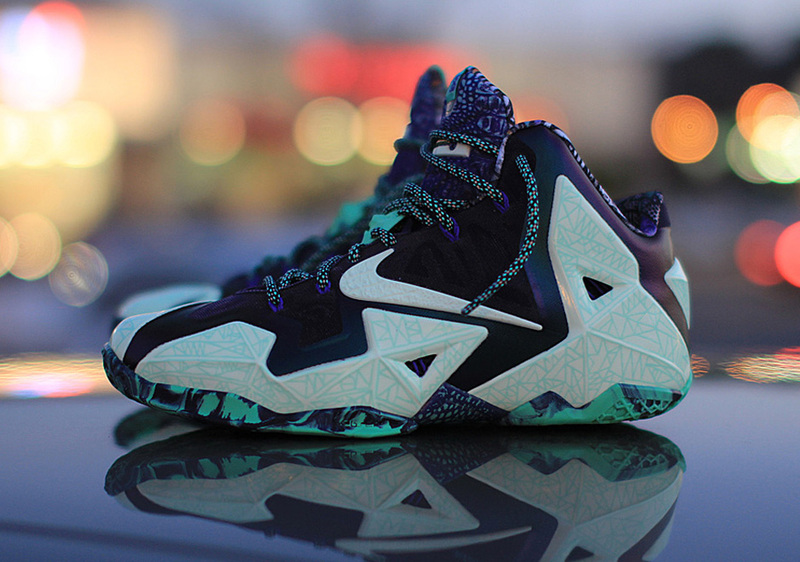 LeBron’s annual All-Star offering by Nike is always a moment to look forward to, and 2014’s offering of the “Gator King” certainly lived up to the hyped-up billing. The Nike Sports Research Lab is the brand’s most highly guarded area of the headquarters, but it was let entirely loose with the launch edition of the LeBron 12. The bright turquoise represented the neon colors associated with lab setups, while the orange and grey represented hazmat suits. In conjunction with NBA 2K14 (which LeBron was the cover athlete for), Nike released this limited edition LeBron 11 that was accessible only through the game’s most devoted players. 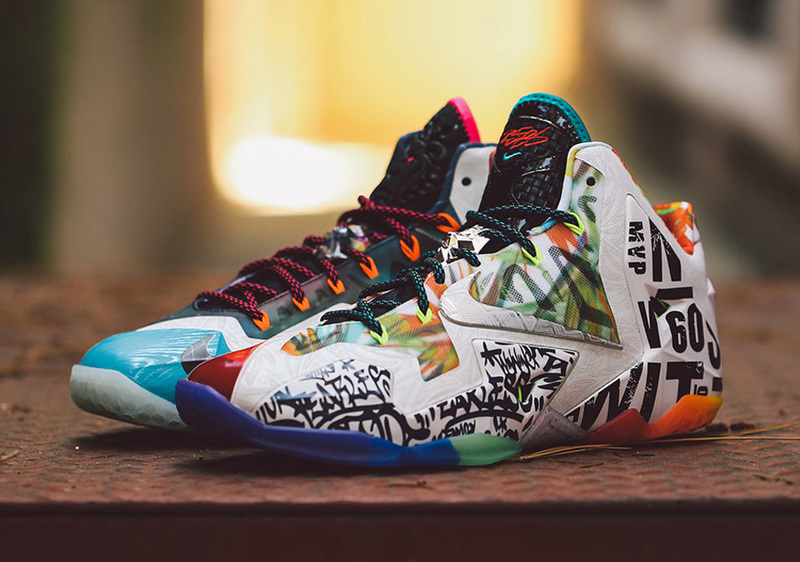 The “What The LeBron” 11 rewrote the formula by grabbing design elements not just from the LeBron 11, but from the entire Nike LeBron history. This is truly a “best of” tribute to the entire signature line. The best part is that Nike wasn’t shy about production; those who coveted a pair found them to be an easy pick-up. 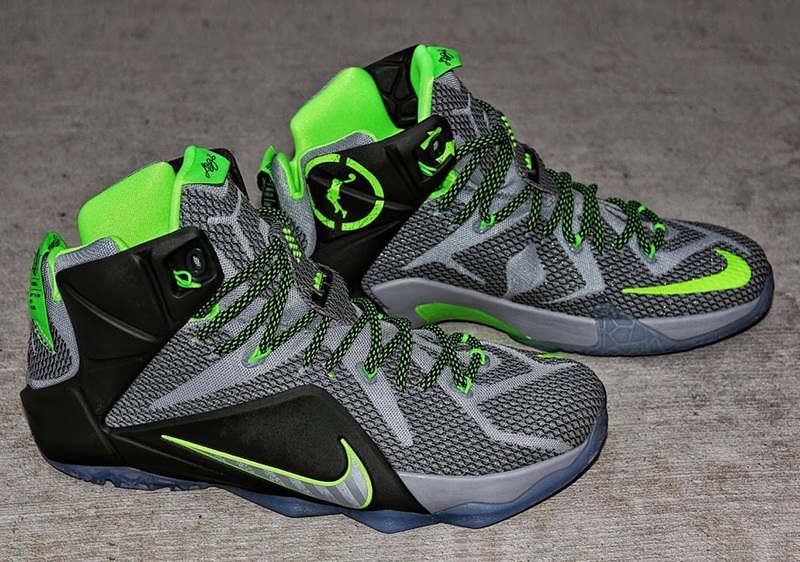 Since LeBron’s move to Miami, Nike has been stuck with illegitimate “Championship” shoes on two separate occasions. This two-pair offering (available separately) was presumed to be a commemorative release for LeBron’s NBA Championship win in 2014, but considering the events didn’t unfold in their favor, the shoes were made available as the “SE” (Special Edition) Pack. 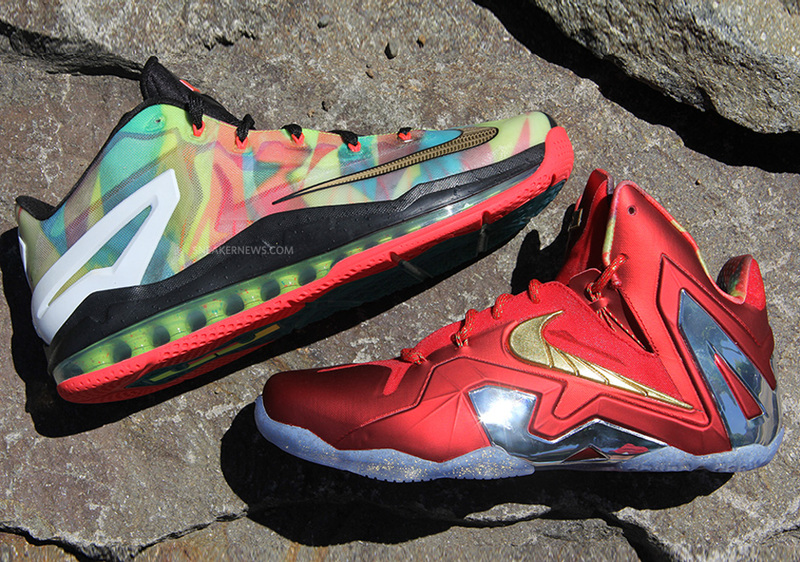 Still, these two were highly sought-after and as a whole, nudged the What The LeBron 11 for its design and provoking backstory.